How to focus on fast movng objects? I am fairly new to photography and am into taking motor sport pictures. I ma getting some great shots but am finding it hard to get a really good focus. Recently I have found that the camera seems to be focusing on the barriers behind the bikes rather on the bike itself. I have read the maunal over and over but it says to point on your target and then move with it as the camera focuses. Now this may be possible on someone running but when its a bike doing 120mph its impossible, especially if Im using a lot of zoom as the bike only comes into full focus at the last minute. Any help or advice in this area would be great. I will try and add a photo but there is a range at http://www.brandshatch.co.nr where you can see the problem, any feedback would be handy. Kevin Chick Sorry, I forgot to add that I use a Canon DSLR 350D and at present I am using the auto-setting for moving objects with a 70-300mm lens. I usually have to use the full zoom to get close to the bikes as the spectator areas are a distance from the track. Kevin - This isn't exactly a field of expertise for me but I'm guessing it will be a lot easier to go to manual focus. It'll be tricky at first and you'll need a lot of practice but in the long run that will be your best bet. Otherwise, at high speeds like that, you'll just be guessing if your camera decided to focus on the right thing or not. Good luck! Hi Kevin – shooting moving objects successfully requires you to first consider what type final image you are attempting to capture. You can stop movement by using a high shutter speed. See my image # 1; when you use a high shutter speed you freeze action so that the subject appears to have somehow stopped in movement – this can be effective when you are trying to show the subject clearly. A second technique is to show action by showing the actual movement – for this you need to use a slow shutter speed and decide – before releasing the shutter – at what point you wish to capture the subject moving through the frame. See my image # 2. For either technique you need to know in which direction your subject is moving; at what point you wish to capture the action and then point your lens accordingly. The use of a tripod is essential if you want the image to be truly sharp (something my image of the horse is not!). Using a cable shutter release is also handy for stopping action without blurring the image. A 3rd technique is to pan for action. I am terrible at this technique, so I will leave a full explanation for someone else; however, basically, in panning you follow the subject from one side of the image to the other – moving the camera with the subject and releasing the shutter while keeping the camera in motion. As I said, this is something I am still trying to learn myself, so… Hopefully, this will help you and I am sure that someone with a great deal more knowledge than me will also respond. Don't quote me on this but I believe I read somewhere (or someone's post) that Canon says cameras will autofocus 2 times faster at 2.8 than at 5.6 (or something close to that). I noticed you're using a 70-300 which I believe is a 4-5.6. If you considered investing a f/2.8 lens it will already be built to autofocus faster but then at the 2.8 you'll have a much brighter viewfinder and the autofocus will focus that much faster. Just a thought. Bob - I was using "sports" mode but it is very difficult to pan on a bike from a long way off when you have the zoom out to 300mm already and keeping it focused. Justin - Your idea of a dfferent lens sounds interesting. 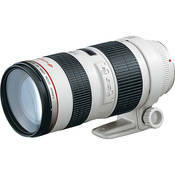 Do you mean look for a 7-300 lens at f/2.8 or ANY lens that offers f/2.8? bob's answer is your best bet and is what I do when shooting r/c aircraft and at 300mm.400 iso. the 2 photos in your gallery are in bright light so maybe you just need to practice. some cameras have a better predictive focus than others but yours should work fine. So all you had to do was track/compose the subject and leave the rest to the camera. I don't think the rebel has ai servo. Kevin Chick The camera does have ai servo, but I think a good suggestion was to fix the focusing to the central point only, that way I wont get so many "misses" where the camera focuses on the barrier behind the motorbike instead. Center focus, keep it locked, recompose.